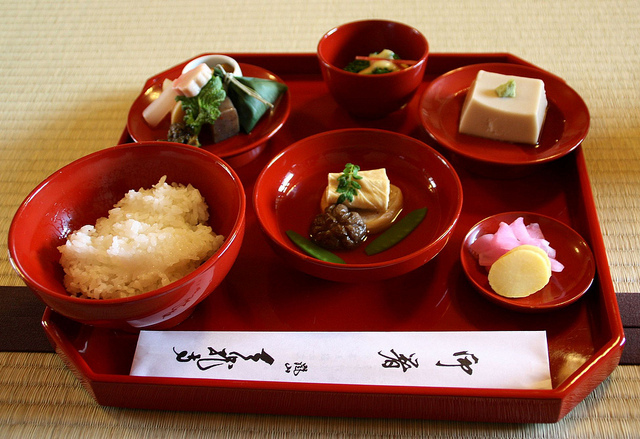 “Shojin Ryori” is a type of meals that the Buddhist Monks consume in Japan. It is without meat or fish as well as strong spices such as garlic or onions, which are believed to cloud the spirit. Killing of animals is forbidden in the Buddhist traditions. 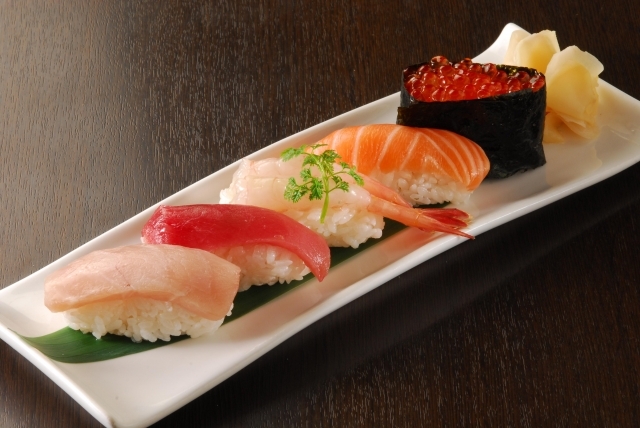 Thus shojin ryori is typically vegan/vegetarian (though some modern adaptations in some sects may allow fish stock). 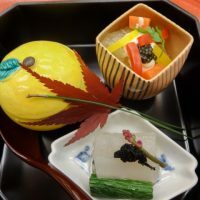 Now days, people eat shojin ryori casually as a part of their detox routine or as a healthy meal. If you are a vegetarian/vegan or in need of halal food in Japan, shojin ryori would be a perfect meal option for you. 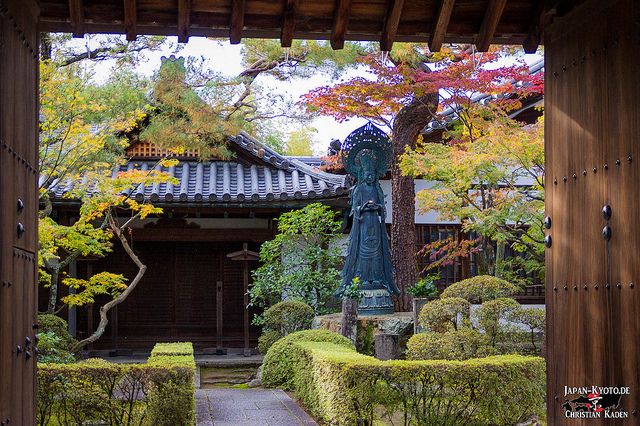 Here are 5 places you can enjoy shojin ryori in the traditional temple setting. 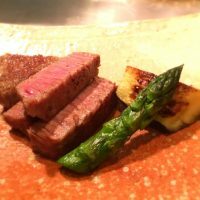 For all restaurants, it is better to make a reservation in advance. Shigetsu is a temple-style restaurant surrounded by World Heritage garden of Tenryu-ji temple in Arashiyama. 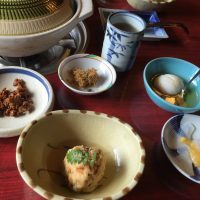 The restaurant is open throughout the year and serves beautiful vegetarian dishes, with their course meals ranging from 3,000yen to 7,000yen. 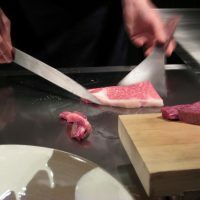 Food here is prepared in a way to allow customers to experience different senses based on shojin ryori’s basic concept: five tastes (sweet, sour, hot/spicy, bitter, salty), five colors (white, yellow, red, blue, black), and five cooking methods (raw, boil, grill, fry, steam). 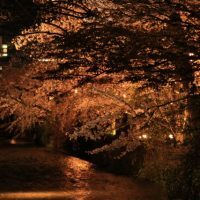 The environment allows you to sit on tatami, meditate on food while enjoying the views of the famous park at Tenryu-ji. 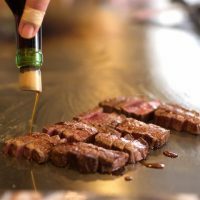 Isuzen is one of the most famous shojin ryori restaurants in Kyoto, situated in one of the sub-temples called Daiji-in that belong to Daitoku-ji Temple. It might take a bit of walk to find the restaurant in the temple complex, though the serene path leading to the restaurant is almost like the first course of the meal. The signature item of shojin ryori here is goma tofu, which is tofu made of sesame. Its texture is almost like mochi(rice cake). You might also enjoy various yuba (tofu skin) dishes here. The beautiful course meal starts at 3,200 yen. If you eat shojin ryori here, I am sure it will change your impression on vegan food. Across the gate of Daitoku-ji temple, on the small alley is, Ikkyu, a traditional shojin ryori restaurant with the long history. 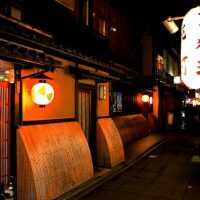 This restaurant is the oldest shojin ryori restaurant in Kyoto and has been serving the monks of Daitoku-ji temple for around 500 years. What is unique here is that Ikkyu serves dinner while many of the temple styled shojin ryori restaurants only offer lunch. Famous dishes here are “fu (wheat gluten),” yuba, and fermented dried beans. Bento styled meal starts at 4,000 yen and a course meal starts 8,000 yen. Here is a video of Daitoku-ji Ikkyu in Japanese. 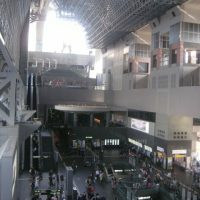 Location:From JR Kyoto station, take kyoto city bus ♯206 or ♯101 and get off at Daitokuji-mae Bus Stop and walk for few minutes. Next,let’s have shojin ryori at Myoshin-ji Temple in Kyoto! Ajiro stands in front of the southern exit of Myoshinji temple, which is a huge temple complex along with numerous sub-temples. 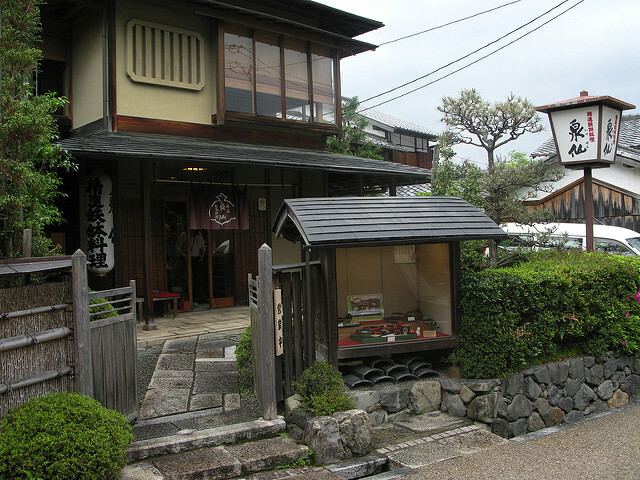 This historical restaurant has been serving shojin ryori to monks of Myoshin-ji. Shojin ryori here starts at 3,000yen for a bento lunch and 6,000 yen for a course meal. Course meals of 8,000yen and 10,000yen include hikiage yuba, which is a unique dish of a hot pot of soy milk that you enjoy the thin layers that form on top while the soy is being heated. The restaurant has some table seating which may be convenient for tourists not used with sitting directly on tatami. Here is a video of Ajiro in Japanese. Location:5 minutes walk from JR Sagano Line Hanazono Station,From Kyoto station,take Kyoto city bus ♯61 or ♯62 or♯63 and get off at Myoshinji-mae bus stop. 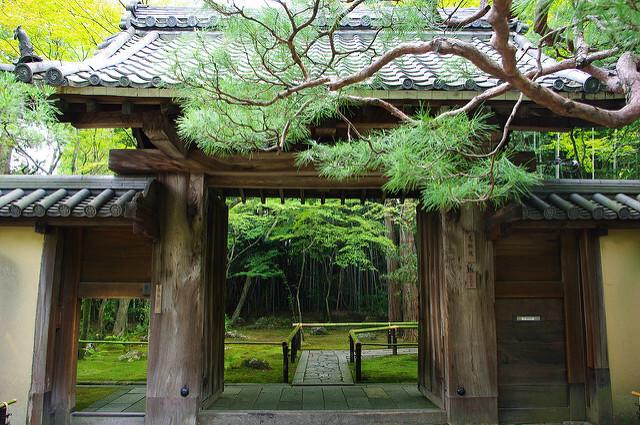 As a local guide,Torin-in temple, one of the other sub-temples of Myoshin-ji, offers shojin ryori as well. The chef and monk Mr. Nishikawa is a famous chef publishing cooking books on shojin ryori. But you must reserve the minimum of 3 people and you need someone who speaks in Japanese. (reservations must be made in Japanese only). 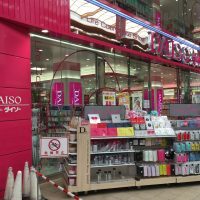 Location:8 minutes walk from JR Sagano Line Hanazono Station,From Kyoto station,take Kyoto city bus ♯61 or ♯62 or♯63 and get off at Myoshinji-mae bus stop and walk for few minutes. Others Reservation is required minimum 2 people in advance.Reservation must be made in Japanese only. Manpuku-ji temple is a Zen temple in Uji area. 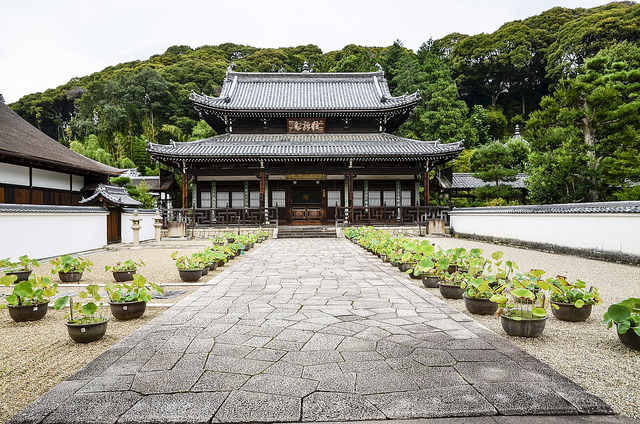 The temple offers tourists to participate in sitting meditation (1,000yen), sutra copying (2,000yen), or enjoy fucha ryori, which is a Chinese version of shojin ryori (from 3,000yen). 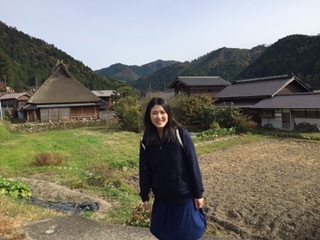 Fucha ryori here as well as its setting are tailored for tourists to casually enjoy shojin ryori. You might notice that the Chinese influence remains strong in Manpuku-ji and the temple looks quite different from other temples in Kyoto. Colorful food is beautifully presented in an exotic environment, and can be enjoyed by any food enthusiast weather or not you are a vegetarian. Don’t forget to stroll around this beautiful temple compound after you eat. Reservations must be made in Japanese only,and you need to bring someone who speaks Japanese. 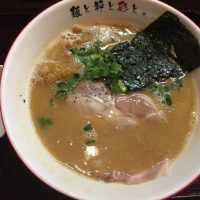 Location:5-minute walk from JR Oubaku Station on the JR Nara Line or Keihan Oubaku Station on the Keihan Uji Line. Others:Reservation is required in advance. Cancellation fee:100 % on the day or one day before. Shigetsu at Tenryu-ji Temple・・・ Shigetsu is a temple-style restaurant surrounded by World Heritage garden of Tenryu-ji temple in Arashiyama. Izusen in Daiji-in Temple・・・The signature item of shojin ryori here is goma tofu, which is tofu made of sesame. Daitoku-ji Ikkyu・・・It is the oldest shojin ryori restaurant in Kyoto and has been serving the monks of Daitoku-ji temple for around 500 years. Ajiro・・・Ajiro has been serving shojin ryori to monks of Myoshin-ji. Manpuku-ji Temple・・・You can enjoy colorful Chinese style Shojin Ryori called Fucha Ryori here. 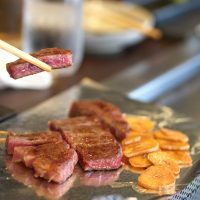 I hope you’ll enjoy authentic Shojin Ryori at these restaurants in Kyoto!